Bold and Gold! If you've never grown MiniFamous Calibrachoa, what have you been waiting for? 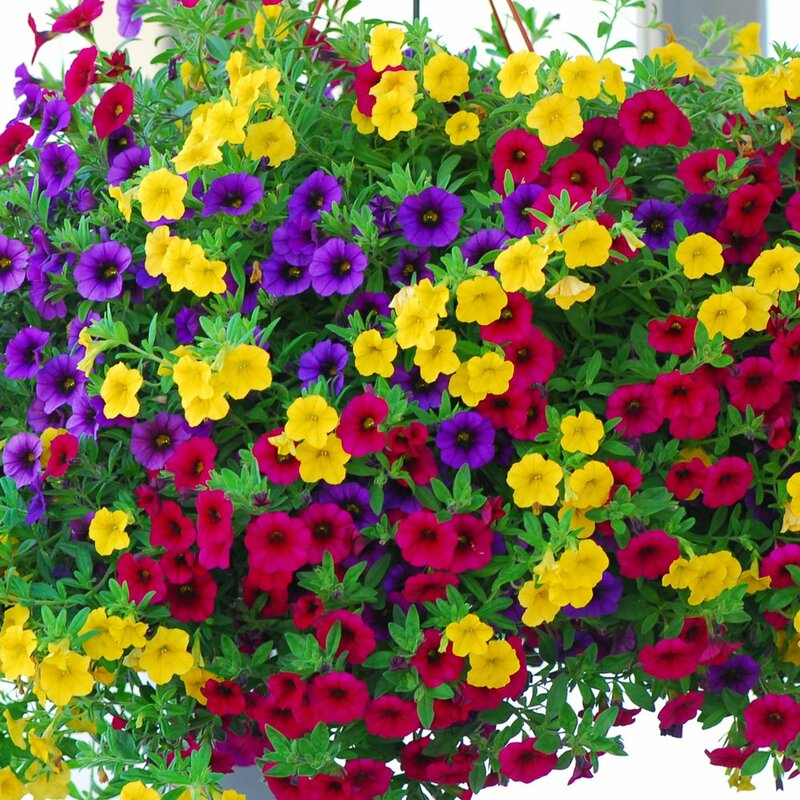 America's favorite mini petunia, planting this combo will produce non-stop blossoms and color from spring through fall, even in hot, dry summer climates! Our 'Trixi Gold and Bold' plants are grown and shipped in fine quality growing medium and are guaranteed to arrive alive and ready to thrive. Comment: I planted the Trixi Gold and Bold in with some Tropical Canna and it is amazing. Comment: the combinations were full, starting to flower and very healthy in appearance. Very nice plants and reasonable price. Comment: Plants arrive well-packaged, in bloom and in excellent condition. "Trixi Gold and Bold Flower Combo"
Comment: Beautiful condition, great phone support and they always stand behind their product. We'll be repeat customers for sure! Thanks guys!